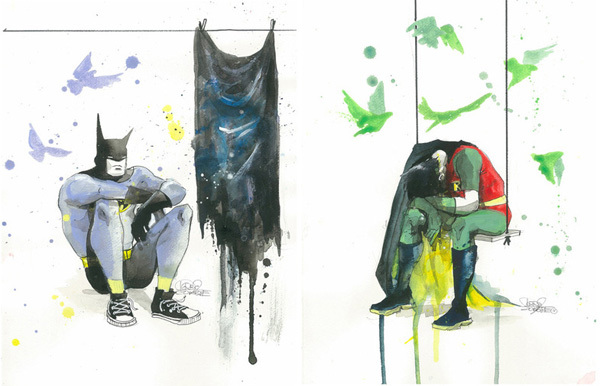 Grunge artist Lora Zombie puts a new spin on superheroes, showcasing how bad it can get even for the world’s finest. 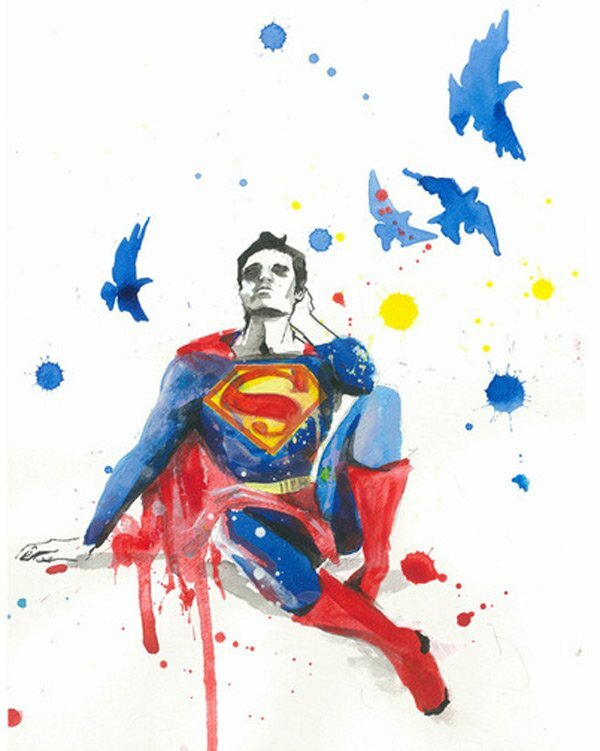 Her series of paintings of Depressed Superheroes are available as prints from Eyes on Walls. Admittedly, it doesn’t always go well for superheroes, especially when they get made into movies. One bad movie can destroy years of great storylines in comics (i.e. Green Lantern.) Still, I doubt that The Dark Knight has got anything to worry about – at least not since Batman & Robin. 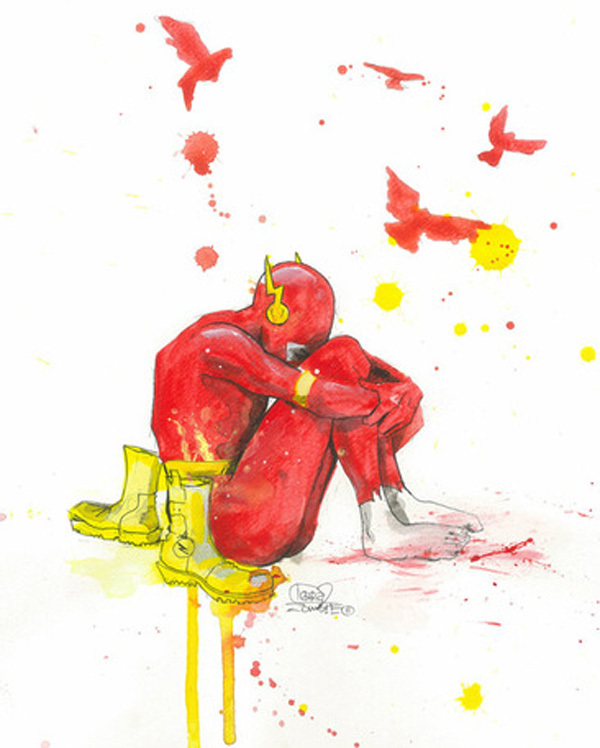 There are a total of 4 prints available, showing The Flash, Batman, Robin, and Superman (all DC superheroes). 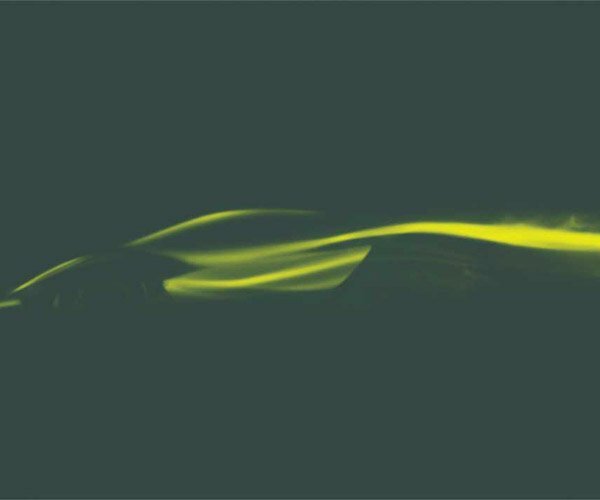 They are available as limited edition prints only and sell for $50 over at Eyes on Walls. I wonder if she’ll tackle any Marvel superheroes next.